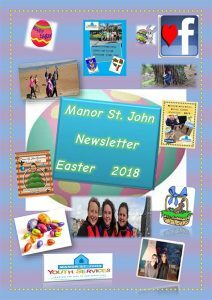 There’s always lots going on at Manor St John, and this Spring Break was no exception. 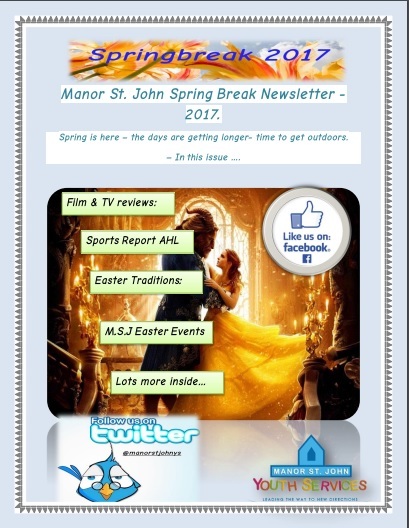 Check out our Spring Break Newsletter to keep up -to-date with all our Easter activities, movie reviews, match analysis and dip into the astonishing world of “Dragon Ball Super”! Beauty and the Beast – have you seen it yet? Patrick the research expert on Easter and what you didn’t know you didn’t know…..
..and Jamie might just get us all joining in on the latest, greatest online craze…..
Manor St. John Youth Service is a Not for Profit Company Limited by Guarantee and a registered charity based in Waterford City. 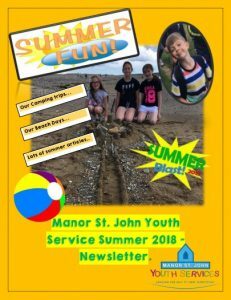 Manor St. John Youth Service is registered with the Companies Registration Office as Manor Of St John Special Youth Project Limited (A Company Limited by Guarantee, Without A Share Capital). 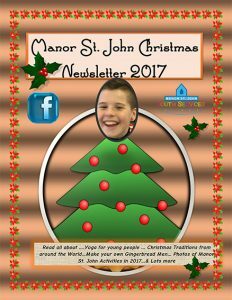 Our Charitable Status Number is CHY 9018. Our Mission, Aims and Objectives are guided and directed by our voluntary Board of Directors and Management Committee. Directors are appointed at the AGM each year. 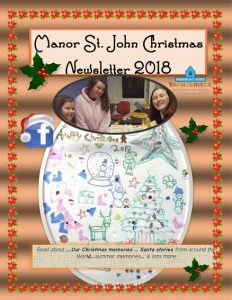 Manor St. John Youth Service is committed to best practice, accountability and good governance. Our Annual Audited Report & Accounts outine our activities and finances each year. Copyright © 2019 Manor St. John. All Rights Reserved.